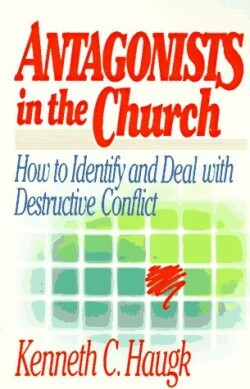 Antagonism exists in the church. It leaves in its wake broken lives: people who are hurt, discouraged, and apathetic. Although only a very few persons are antagonists, these individuals have the potential to disrupt and even destroy a congregation’s mission and ministry. In this balanced and practical book, Kenneth Haugk shows how congregational leaders can prevent or reduce much of the pain and suffering caused by antagonism in the church. He distinguishes between healthy conflict and destructive antagonism and shows how to cope productively with antagonism when it arises.